Normally, branding and marketing are topics that take priority before and during the launch of a restaurant. During this initial stage of our restaurant launch, a lot of issues come up and are addressed. Things like the restaurant environment, the personality of the brand, the tone of voice for the restaurant, the restaurant logo and all that comes with it (color palette, philosophy, mission, vision, etc. ), typography selection and treatment, restaurant collateral (menus, t-stands, table tents, etc. ), photography and more put under the microscope. Unfortunately, branding and marketing tends to lose importance as the day-to-day operations take place. But, what does this mean for my restaurant? You will need to start asking yourself a couple of questions and be honest with yourself when answering them! Is your restaurant menu, check presenters, posters and banners (and all other marketing materials) created following the same brand guidelines? Or have they been created (and continue to be created) by a number of different designers over time who have no idea you had brand guidelines in the first place? >>Considering a rebrand? We'll give you 101 reasons to consider it here. Without any doubt, your restaurant as a business is different from when you first launched. 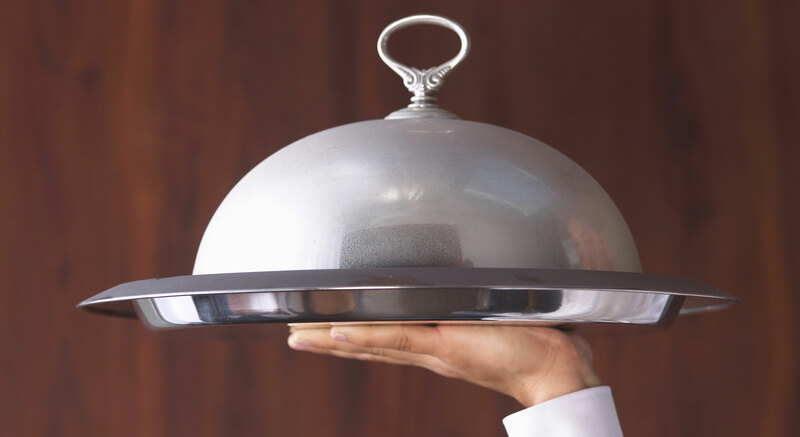 Your restaurant has evolved because the restaurant industry continuously changes. So, it is a good idea to gather all of your current and past marketing materials, analyze them and evaluate if your restaurant branding and marketing strategies need to be re-visited. Your brand – Has your brand communicated your general message in all of your previous restaurant marketing materials? Consistency – Do all of your marketing materials follow your brand's guidelines to keep consistency throughout? Your restaurant audience – Is your brand and the way it is translated into all of your marketing materials (menu design, web design, etc.) speaking to your target market? Has it been appealing to your audience? Is it still appealing to your audience? Brand and design elements – Are you using current photography or are you still using the same steak image from 5 years ago? Competitors – Have you done any recent competitors analysis? How do they compare to your brand? As any other business, restaurants need to stay ahead of the game in terms of their brand and marketing approach. If your brand stays fresh and adapts to the ever-changing restaurant market, your restaurant will be able to not only retain your current patrons, but also acquire new ones. So, when you walk into your restaurant today, take a look at that sun-faded poster sitting on that old easel by the entrance and think if it really speaks about your restaurant brand and if it really motivates your current customers and prospects to take a specific action. For a bit of inspiration visit our Pinterest or our website.